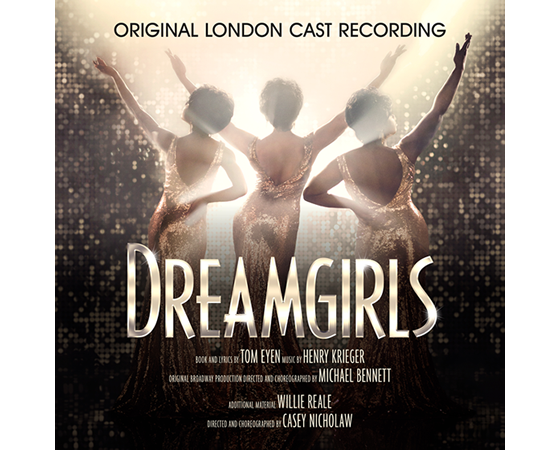 Sony Masterworks Broadway is proud to release the highly-anticipated Original London Cast Recording of the hit West End Musical 'Dreamgirls', in a stunning new double-album recorded LIVE at London’s Savoy Theatre. In November 2016 after 35 years and 13 awards (including 6 Tony Awards, 5 Drama desk Awards and 2 Grammy Awards), this brand new production of 'Dreamgirls' finally received its UK premiere. The show has received unanimous praise from both audience and critics alike. This definitive album includes the most iconic songs from the musical such as ‘And I am Telling You I’m Not Going’, ‘I Am Changing’, ‘Listen’ and ‘One Night Only’ and is a must-have for all 'Dreamgirls' and musical fans. With book and lyrics by Tom Eyen, the album is produced by composer Henry Krieger and captures the on-stage exhilaration of the original London cast, the 14-piece band and the audience.